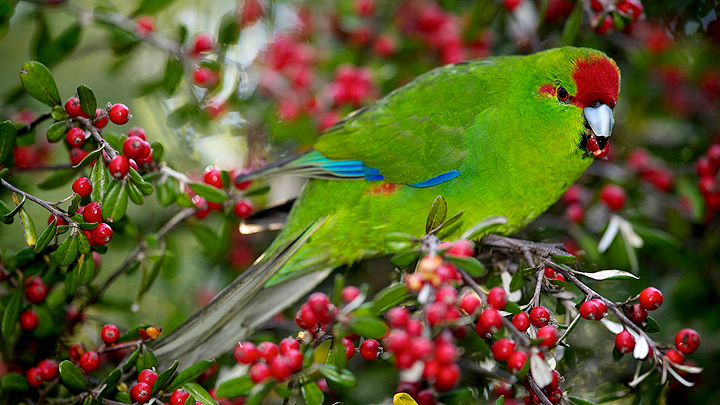 Extremely active and very inquisitive, Kakarikis are wonderful aviary birds. The aviary must be very secure with double doors because Kakariki are lightening fast in their reactions, also very friendly and fearless, so escape could happen all too easily. The aviary must be very safe with nothing that is potentially hazardous. Kakarikis are enthusiastic bathers so fresh water in a large shallow container must always be available. Because they are so active and such strong flyers, Kakariki are best kept in an aviary no less than 4.5m (15ft) in length. They love to forage so will enjoy life in a large planted aviary, where they can be kept with small softbills and finches. Their calls are not loud or unattractive thus they are ideal for people with close neighbours who might complain about noisier birds. Dry and sprouted seeds should form the basis of the diet. 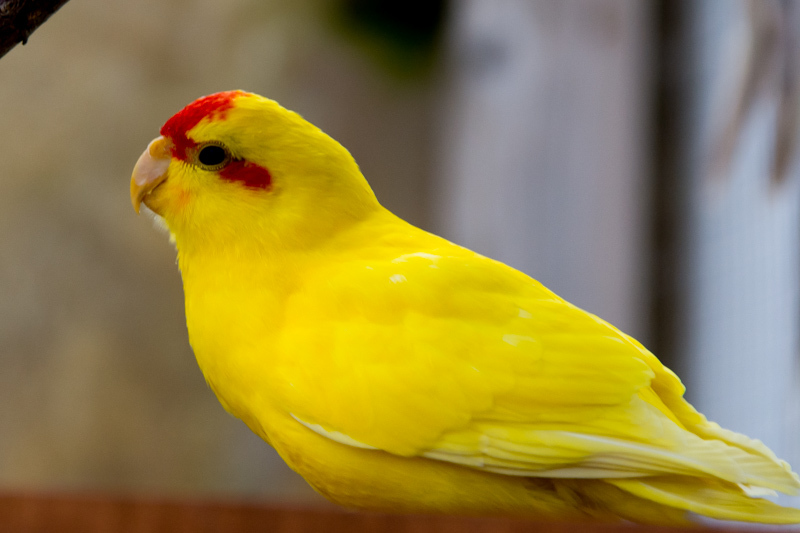 Kakarikis should be offered a good quality Parakeet mixture containing some sunflower and safflower. Sprouted sunflower and mung beans, which can be sprouted together. Millet sprays are enjoyed. They will also eat fruit, such as apple, strawberries and grapes, also sweetcorn, carrot and celery. Wild foods such as seeding grasses and the young leaves of dandelion and smooth sow-thistle are also relished. Cultivated greens such as kale, rocket and spinach will also be eaten. They are not fussy and will eat almost any green food which should be fed daily. Eggfood (crumbly consistency) should be offered just before chicks hatch and during the rearing period. Note that Kakarikis have a habit of scratching rapidly with their feet, sometimes scattering the contents of the food dish in all directions. One breeder overcame this problem by placing food dishes inside much larger containers. This would prevent the use of swing feeders and some feeding shelves. This habit originates from their natural foraging behaviour: they feed on the ground as well as in trees and shrubs. On the ground they scratch in leaf litter, rapidly pushing it aside with their feet in their search for edible items.